Added support for Locus Platform. 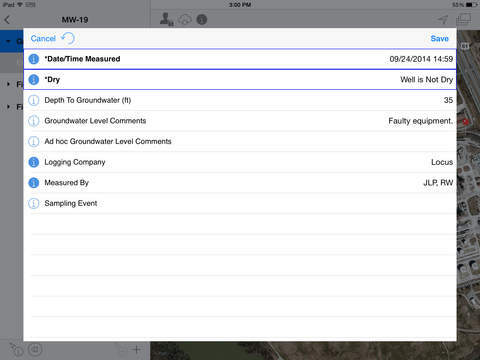 Locus Mobile for iOS works in conjunction with Locus’ environmental information management systems. The mobile application is used for simple and accurate data collection and upload from the field, and in the process improves workflow, enables productivity gains, ensures accuracy, and leverages location intelligence. Interaction with Locus Mobile does not require a real-time data connection, and content from the field is uploaded when it is convenient. Field users can work in remote locations with the assurance that all entries are saved and then synchronized back to a secure storage location once they are able to obtain Wi-Fi or cellular data service. Field data collection requirements and sophisticated data entry rules are configured from within Locus’ system and then assigned to field users and enforced through the mobile device. Field data entries are validated upon entry, and the user is provided with guidance on expected field measurement values. Once data are collected they are uploaded to the parent system for review, analysis, and reporting purposes, where they can also be easily audited for compliance support. Mobile users are presented with an interactive map interface that shows where sampling locations are and provides status information regarding the required data collection program. The interface supports ad hoc sampling activities that allow users to add sample locations and complete new data entry events. 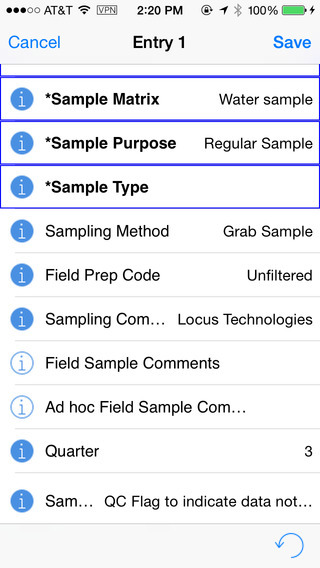 Locus Mobile can be used for processing field data collection operations for multiple users working within the same program. The system can be configured for a wide range of measurements related to well monitoring, air sampling and soil sampling. Locus has been providing businesses with the power to be green on-demand since its founding in 1997. Locus' cloud software enables companies to organize and validate all key environmental information in a single system, which includes analytical data for water, air, soil, greenhouse gases, sustainability, compliance, and environmental content. Locus software is delivered through Cloud Computing (SaaS), so there is no hardware to procure, no large up-front license fee, and no complex set-ups. For more information, visit www.locustec.com or email info@locustec.com.